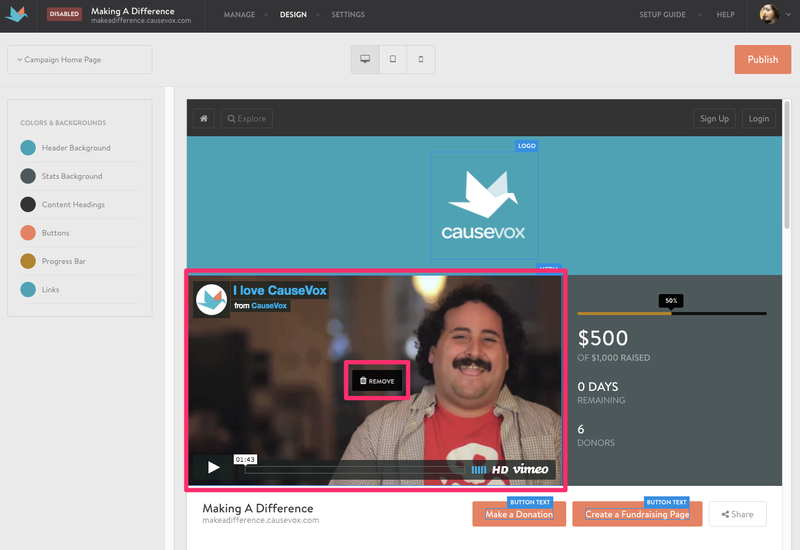 You can upload photos and embed videos on any content area on your CauseVox campaign home page or personal fundraising page. Follow this guide for more info. 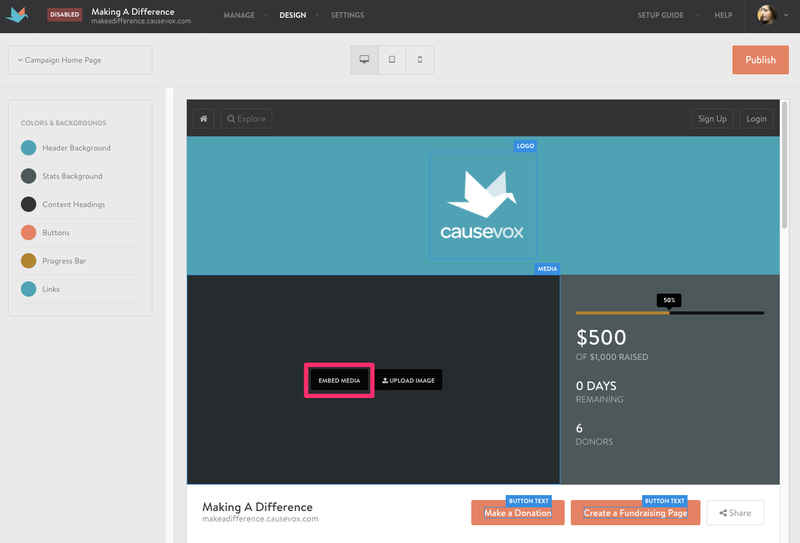 The Main Media Area is a special area on the Campaign Home Page for media embeds. 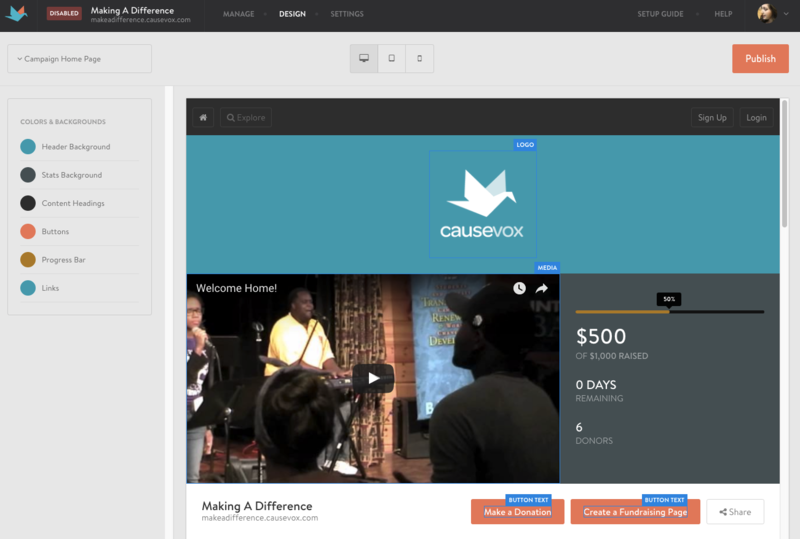 The Media Area is where we have the "I Love CauseVox" video below. If you upload a photo, it must be in image format (PNG, JPEG, or GIF) with a 3 MB size limit. The photo would need to follow the dimensions noted here. 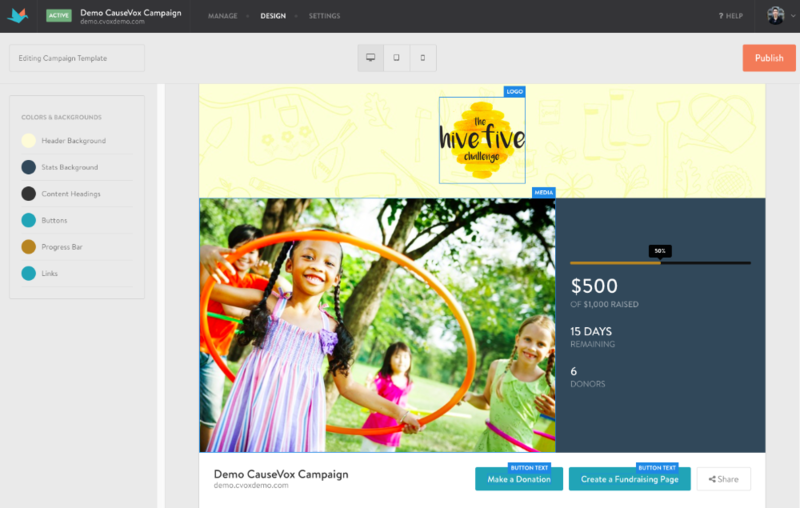 Just follow the steps below to include it in your fundraising site. Note: These steps are only for media embedding in the Media Area. For non-Media Area embeds, please see below section "Other Embeds". Please use the full URL of the media. Do not use shorteners like "youtu.be". 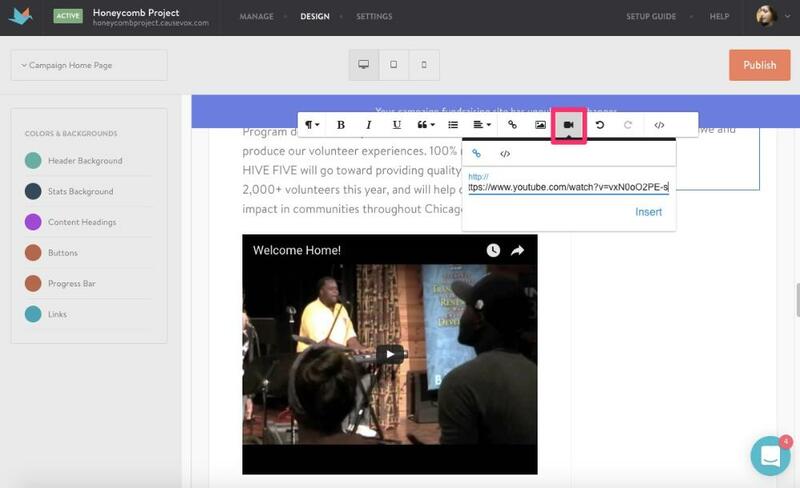 Outside of the Media Area, you can also embed media into the general content area. To upload a video, click on the video icon in the toolbar and pasting in the URL into the section. It will then appear in the content section.